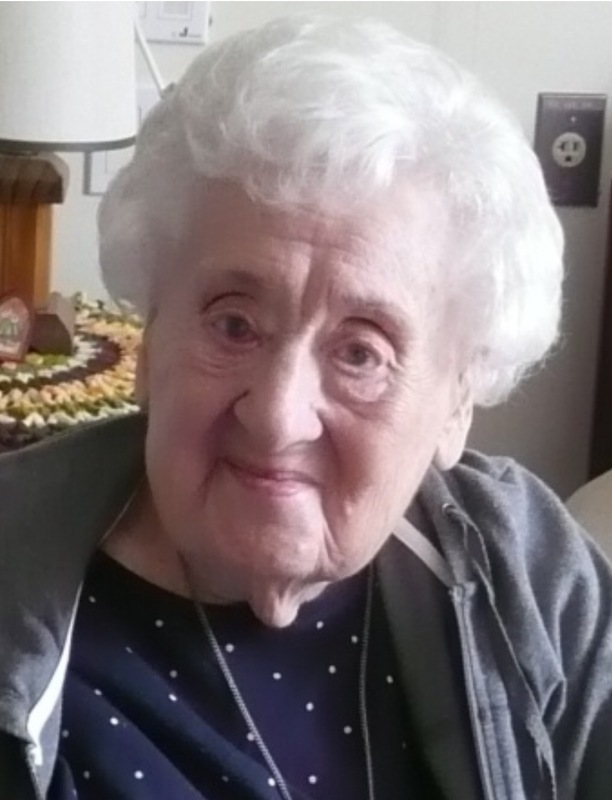 Age 96, of Duquesne and former resident of McKeesport, died on September 7, 2017, in St. Anne's Nursing Home, Greensburg, PA. She was born on January 9, 1921, in McKeesport to Michael and Virginia (Coulter) Kushner and was the oldest of five children. On October 26, 1946, she married Stanley Belback. Together they were loving parents of four sons and three daughters. Madeline was an active member at St. Joseph Church, Duquesne where she belonged to the Confraternity of Christian Mothers and Guild, and was a Third Order Carmelite in the "Our Lady of the Holy Spirit Chapter" for 36 years. She also belonged to Our Lady's Rosary Makers, was a member of the St. Vincent DePaul Society, and a volunteer at John J. Kane Hospital for 13 years at the Scott Twp. and McKeesport centers. She was a former Confraternity of Christian Doctrine (CCD) teacher of religion, and a teacher for Catholic Awards for Girl Scouts of Catholic Faith. She also served on the Home Mass Committee for shut-ins. She is survived by her children, Stanley (Theresa) Belback, Lanexa, VA, Marlene (Stephen) Smith, North Huntingdon, PA, Anita (John) King, Mineral, VA, Regis (Marianne) Belback, Steubenville, OH, John (Valerie) Belback, West Mifflin, PA, Virginia Belback, Williamsville, NY, Joseph (Robin) Belback, North Huntingdon, PA; 13 grandchildren and one step- grandchild; 16 great- grandchildren; sister, Catherine Crovak, Greensburg, PA; and many nieces and nephews. Madeline was preceded in death by her husband, Stanley "Stush" Belback; parents, Michael and Virginia (Coulter) Kushner; brother, Michael S. Kushner; sisters, Virginia (Ernest) Williams, and Rita (Walter) Belback. Madeline was a woman of great Faith who had an abundance of love for her husband, children, family, and friends with sincere caring and compassion for others. We'll all miss her! Visitation will be on Sunday, September 10, 2017, from 12-4 and 6-8 p.m. at the MALOY - SCHLEIFER FUNERAL HOME, 915 Kennedy Ave., Duquesne, 412-466-3300. Mass of Christian Burial will take place on Monday at 12:00 Noon at St. Joseph Church. Madeline's nephew, Rev. Thomas Lewandowski and Rev. Emmanuel will officiate the Mass. Entombment will be in the Calvary Cemetery, Pittsburgh. Memorial contributions may be made to the Society of the Little Flower (Carmelite), 1313 North Frontage Rd., Darian, IL 60561 for masses. Originally published September 09, 2017. "Kenneth Banner" || "Lucille B. Runge"